Here’s a great focusing technique that I learned from a rally driver. 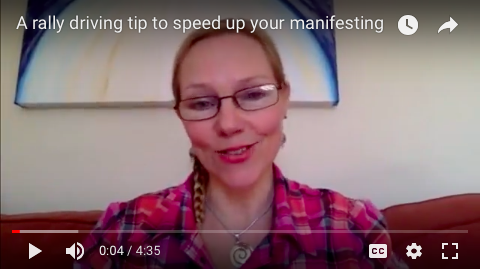 If you often get side-tracked, slowed down or de-railed by obstacles on the way towards your dreams and goals, this brilliant metaphor will show you how a shift in focus will help you speed up your manifesting and give you a smoother ride along the way. It’s all about trusting your natural genius! (4 mins 35 seconds). This is a free consultation (up to one hour) where we can talk about where you are now, where you would like to be, and whether we are a good fit working together in a deep and intensive way through an agreed programme of support.